For Hs that is mighty hath done to me great things; and holy is His name. 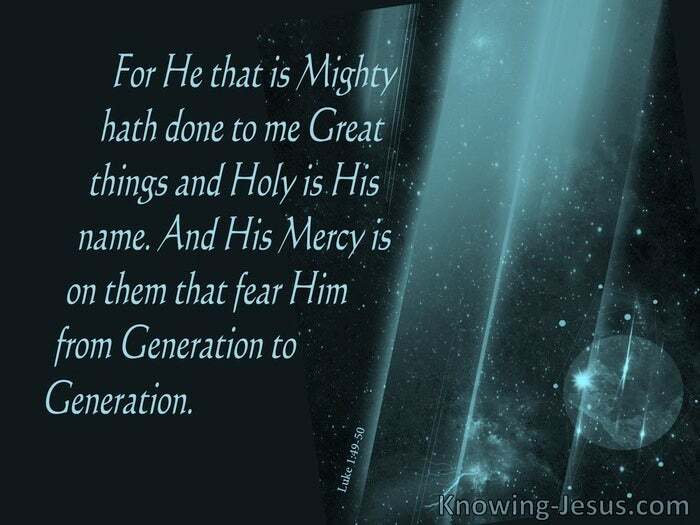 And His mercy is on them that fear His from generation to generation. 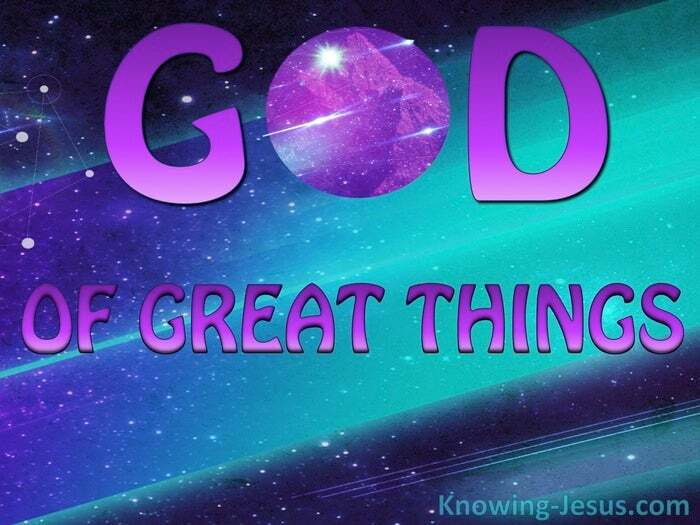 The Holy One; the Mighty God; the Everlasting Father, has done great things to ME. The sublime Creator saw all He fashioned and made and behold it was very good, and yet the federal head fell. And ugly, cancerous sin infected creations beauty.. and it infected me – and it infected you too. No wonder the lowly handmaiden of the Lord rejoiced with thanksgiving. No wonder little Mary began to sing of His wondrous deeds. No wonder the words that dropped from her lips contained such beauty and praise. It seems beyond mortal credibility that the great God of the universe cares. It is past understanding that the Almighty should care for one person – one who has so often grieved His heart and quenched His Spirit. It beggars belief that the eternal One should seek out and love one person – one among the billions of mortal souls.. one so unworthy.. one so besotted with sin.. one floundering in the polluted sea of humanity. Yet Mary recognised this astonishing fact, and the Holy Spirit made sure it was recorded in the Word of God. And this truth is as true for you and for me.. as it was true for her. And the God-breathed Word cannot lie, for He is Light and He is Life and He is Truth: “and He that is mighty hath done to me great things, and Holy is His name,” Luke 1:49. Can you say with Mary, “He that is mighty hath done great things to ME:… or are you wallowing in your own guilt and shame? Can you accept His Word.. or are you unable to accept His Truth? Can you proclaim the wondrous things that the Lord has done for you.. or are you racked by past actions and attitudes, that sear your soul with self-condemnation? May the Holy Spirit of TRUTH unfold these things more fully and more powerfully to ALL of our hearts. so that we may have a deeper sense of the conduct and character which are worthy of the high vocation to which we are called – and that includes YOU.